Last week, a Gunn High School student died by suicide, adding to at least three other teen suicides that have occurred in the Bay Area within the last month. The grief caused by these incidents reverberates similar feelings across the community after the loss of individuals in a series of teen suicides in 2009. The Paly Voice staff sends its hearts out to all those affected by the loss in our community. It seems all too often that students, teachers, administrators and family members are mourning for the loss of a young community member. The Paly Voice shares its suggestions for making suicide prevention and mental health recovery a top priority for every person in the community. But first, let’s consider some background information. It is impossible to pinpoint one main reason for the cause of suicide in teenagers. However, the American Foundation for Suicide Prevention points to mental disorders, medical conditions, pain and environmental stressors such as academic stress and pressure as the most probable causes of suicide. It is important to note that suicide is not an issue unique to our school district. According to Suicide Awareness Voices of Education, an individual dies by suicide every 13 minutes in the United States. Second, although no direct cause of suicide is known, our community and district have taken various measures to change both Gunn and Palo Alto High School’s climates in the last few years. 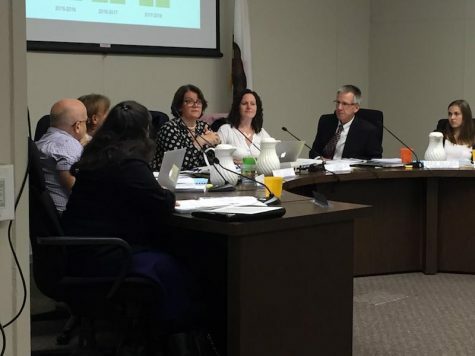 In 2009, it was suggested and enforced that the “Living Skills” course, a required class for high schoolers in the Palo Alto Unified School District, include mental health education. In the same year, according to NBC News, students from Gunn came together to post optimistic notes around campus, create peer-run support groups and distribute T-shirts with the message “Talk to Me.” This year, Caltrain created a suicide prevention webpage that includes a crisis hotline number and links to local, regional and national resources. Local organizations aimed at preventing suicides, such as Project Safety Net, have been revamped to move forward with their mission statement of ensuring the well-being of youths. A team of healthcare professionals in the Bay Area, the HEARD Alliance, makes it its goal to enhance the community’s ability to respond to adolescent depression. Although our community has proposed and implemented measures for changes that have increased suicide awareness and the importance of emotional health, there are several other key suggestions that The Paly Voice would like to bring to light in the need for suicide prevention within our community. Despite the excellent range of counseling services at both Paly and Gunn, students can feel reluctant to receive counseling or discouraged to improve their mental health because of a stigma surrounding counseling. This stigma leads to students who often feel that counseling can only be utilized by severely upset or mentally ill students. However, the American Counseling Services study shows that 80 percent of adolescents seen by counselors five or more times improved their level of functioning. A method to remove this stigma includes the refinement of strategies by school board members along with high school administration teams to more effectively offer help for students, with the assurance that students receive this help when needed. One way to go about doing so is by redefining the connections formed between students and counselors. We urge students to form relationships with their advisors, guidance counselors or teachers so that in a time of need, students will have a trusted adult to speak with and confide in. 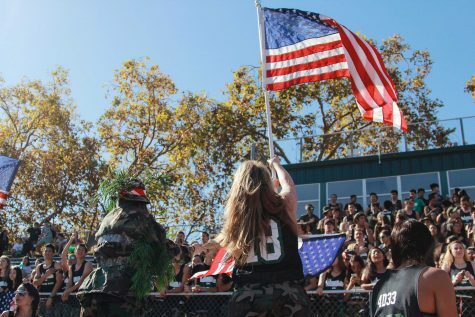 The Paly Voice believes that each student should receive a call slip for a brief meeting sometime throughout the year with an advisor or a guidance counselor. This would allow the student to become acclimated to an adult on campus and to become informed about the various counseling services offered. It is essential to have students feel welcomed and safe on campus, and with more exposure to an adult through individual meetings, these relationships can be formed. A secondary method to improve the connection between students and on-campus adults is by ensuring guidance counselors, those in charge of helping students through social emotional support, have a greater presence on campus. Currently each guidance counselor spends one lunch a week on the Quad familiarizing themselves with the students, according to the junior class Guidance Counselor Susan Shultz. Their familiarity throughout the community should be extended through counselor-mediated discussions, whether they be at club meetings or in the theater, as this would give students a time to interact with their counselor in a comfortable, informative and relaxing environment. What changes do occur, however, are fruitless unless students recognize that administration members are not the only ones who can make a change in our community. Change does not happen from top down and cooperation from the student body is necessary for any of these changes to reach their full potentials. Teamwork between the student body and district will serve to provide a safer learning environment for all. Students can help by being mindful of their presence on social media in the event of a suicide. While family and friends may want to celebrate the deceased’s life through fond posts of memories, there can be ill consequences to this well-intended gesture. According to the American Foundation for Suicide Prevention, there is a well-documented copycat effect of suicides, in which one suicide death may contribute to another. Social media posts that glamorize the life of an individual convey an improper message to those struggling with mental health issues. Suicide is a serious issue, and it should never be presented as an option. The Paly Voice reminds the community that it is important to remember but not glorify those lost to suicide. A safer and more positive community can be achieved through various changes by both the district and the students. No matter who you are, you can make a difference. Change begins with you. Well-written piece, but the visual data presented in this article is largely misleading to the statistically unaware reader. The upward trend that seems to be highlighted is not significant nor is it pertinent to the argument you are trying to make. While these issues need to be addressed and discussed,this data could simply be stated in the text to make the point more effectively; having a visual for the sake of having one is useless. This article is quite thoughtful and helpful. Thank you for sharing such important information. One clarification, however: the vast majority of adolescents who end their lives by suicide have a history of mental health issues, especially depression — whether or not it had been diagnosed earlier. So while stressors like concerns about academic performance or other achievements may contribute, these are almost never the sole or even primary explanation for a teen’s suicide. We all recognize the important of helping teens to learn to balance their many obligations and expectations –whether generated from the teens themselves, their parents, or their teachers. The goal to for teens to create the right mix of academics, planned extracurricular activities, and unstructured free time, and recognizing how to set limits that allow them to stay healthy and happy and achieve their own goals, academic and otherwise. It is my understanding that a student needs a parental signature to utilize ACS. In two cases this has kept a student from accessing resources because their parent “doesn’t want anyone to know” (that the student wants counseling services.) Am I mistaken on this? I hope so. Pam, I looked into this and found out that the law changed a few years ago. Parental permission is no longer required. This is good!